After over a year of local tasting panels and regional heats leading up to the finals, the Campaign for Real Ale, CAMRA, has announced that today Chocolate Marble has been crowned the Best Winter Beer in Britain at the National Winter Ales Festival, Derby. The Manchester stout was crowned the Champion Winter Beer of Britain five years after coming place in the 2011 Champion Beer of Britain. 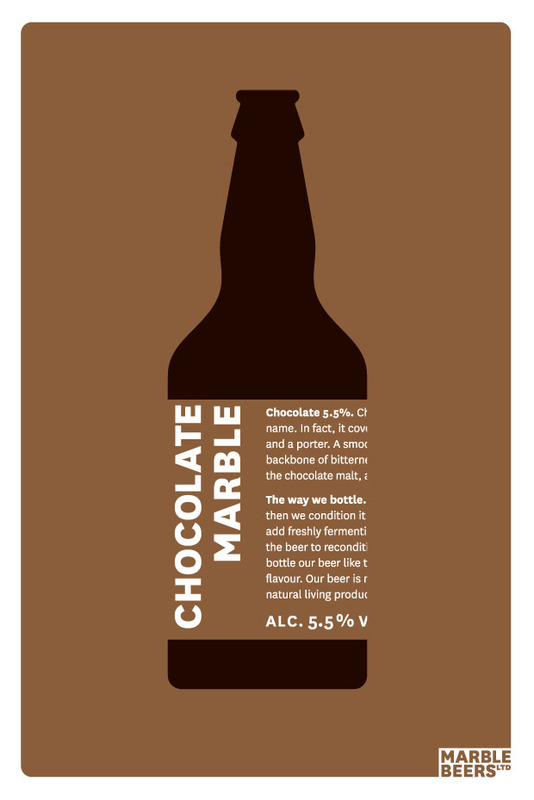 CAMRA national director Nik Antona said: “Marble Chocolate is a more than worthy winner of one of CAMRA’s highest accolades. It embodies everything a great winter beer should be, packed with flavour, complexity and depth, but still incredibly drinkable. The chocolately stout was crowned the Winter Champion over a host of other finalists in four different beer categories (barley wine strong old ales, old ale strong milds, porters and stouts), including beers from both small microbrewers and large regional brewers. “The Chocolate Marble had a lovely chocolately aroma, with flavour of marmalade, mocha and raisins. The chocolate notes perfectly underlaid the mocha character and made a second drink a must”. This year’s Silver went to Elland’s 1872 Porter while Inncognito Stout by Plain Ales took home the Bronze award. Chocolate Marble comes in at 5.5% and is available in Cask, Key Keg and Bottles.